Think of well-dressed men throughout history. What’s one thing they all have in common? And if you’re a contrarian and are now busy coming up with a list of well-dressed men who never wear hats, consider this: what if they did wear hats? And that’s not to say all those hat-wearing heads have to belong to someone famously good-looking with the last name of Gosling or Hemsworth, or whomever the kids are into these days. Any head, with any face on it, can rock a hat. It just has to be the right one. And while there are many modern haberdashers (a word I NEVER get to use, so I am so excited right now) making fine hats, there’s no denying the quality and style of a vintage hat. 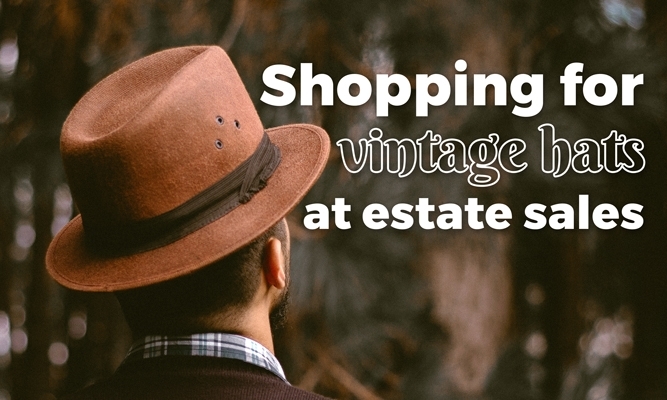 And where better to find an authentic and time-tested vintage hat than at your local estate sales? So do you know your trilbys from your trappers? Your Panamas from your porkpies? Let’s take a look at a few of the more common and popular men’s hats. The ones you’re most likely to find at your local estate sales. Technically a number of hat styles can fall under the category of “fedora,” but there tends to be a specific hat one imagines when the word is uttered. And it’s the one that sits on the top of Indiana Jones, who worked that look. Or maybe Frank Sinatra, who also looked very dapper. 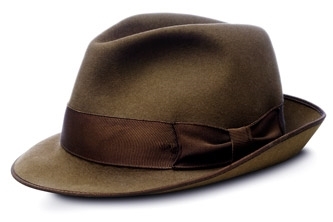 The fedora’s younger brother, the trilby features a shorter brim turned down in the front and up in the back. 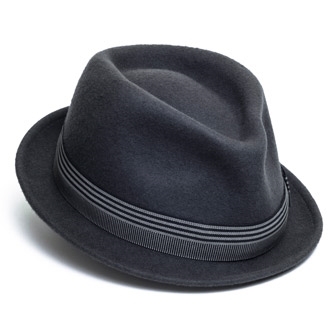 When you get down to brass tacks, a case could be made that a trilby is a type of fedora...in the same way that a square is a rectangle. But it’s a more casual hat than a fedora—frequently (and contemporarily) made of straw, tweed, or wool instead of the traditional felt, it’s a hat for all seasons. 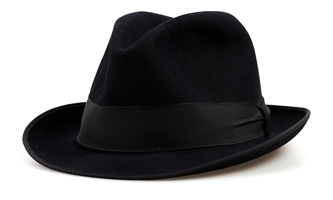 “With the pop music scene, our younger buyers are looking for the wider, flat brimmed fedoras. They don’t want Grandpa's hat style,” Renkiewicz said. Which makes the trilby the type of hat you see on the heads of pop stars like Justin Timberlake. This could be a pro or a con, depending on your general feelings about the state of contemporary music, so let’s move along to the next hat. Panama hats are not so much identified by their shape (which is very fedora-esque) as they are their material and their history. 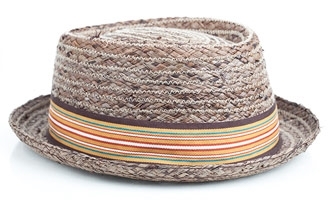 These hand-woven straw hats are great for the summer months. The quality of the hats vary wildly, but you should look for a hat with a tight and even weave. 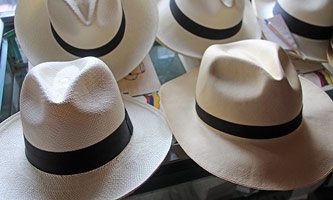 There’s no official standard of measurement when it comes to the quality and fineness of the weave of a panama hat, but with a close eye you should be able to spot any major imperfections. Lines should be straight, and the weaves should be evenly tight, and the color, as well, should be even. 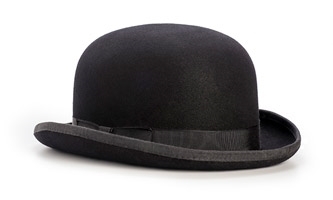 Another vintage hat popular among the hip kids these days is the porkpie hat. First made popular by silent screen star Buster Keaton, and more recently on Breaking Bad’s Walter White (or, rather, Heisenberg). These hats feature a short, flat snap brim and a short, flat (or slightly domed) crown. We would be remiss if we didn’t mention this stiff felt hat made famous by Charlie Chaplin. A more common style in Great Britain, where it originated, rather than here, across the pond, derby hats make a great fashion statement...one that’s probably very charming...and has British accent. The hat probably sounds a lot like Prince Harry, is what I’m saying. If Pixar or Disney made a motion-picture featuring animated hats, this one would be voiced by Colin Firth. Cowboy hats may not be as formal a chapeau as the others on this list, but there’s no denying their popularity and longevity. 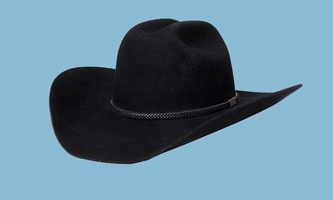 Frequently made of rabbit or beaver felt, wool, or straw, you don’t have to ride the range to make this look work for you.You could also be a contemporary country music singer! Or an oil tycoon! So, you’re convinced. You’re ready to buy a hat. Now what? So consider what will look best on your body type. Your hat’s brim should be in proportion to your shoulders. A larger frame can usually accommodate a wider brim in a way a more lanky person cannot. Moth balls, Renkiewicz said, is likely one of the toughest smells to remove from felt. Keep that in mind as well as you’re shopping. When you’re not wearing your hat, especially for a long period, keep it stored in a cool, dry place. According to Renkiewicz, the felt will become brittle when left in a hot place that will dry it out (like a car, perhaps). And when it’s left in a moist climate, like a damp basement without proper air circulation, it will grow mold. “Again, kind of hard to get out,” Renkiewicz said. But the most important thing to keep in mind when shopping for a vintage hat is to find the style you want. Maybe you want to shuck convention and rock a pappakha (ooh, there’s a rhyme again. I’m going to go buy a furry hat in celebration), or maybe you think sailor hats are due for a comeback. Either way, be sure to check out your local estate sales for all the vintage styles, or see what you can find on the EstateSales.NET Marketplace, where new items are being listed every day!